Todd Gurley M.A.D.E. Camp July 15th in Alpharetta, GA Spots still available. $100 entry fee. Great family event on July 15th in Alpharetta, GA. Event is for boys and girls ages 6-14 years old. Amazing opportunity to learn some football skills from NFL superstar(s) giving their time to our youth. Fun activities for parents and spectators throughout the day. 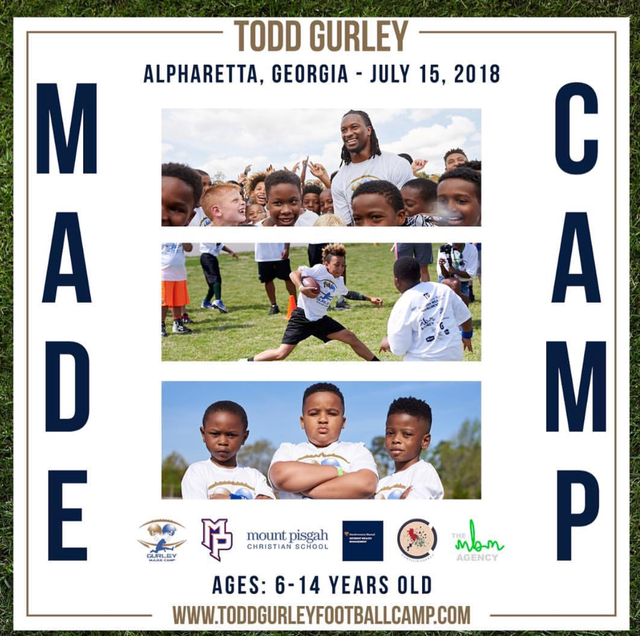 Very limited availability so register today at ToddGurleyFootballCamp.com.